Last week, Samsung made the Galaxy S5 LTE-A official -- an even more powerful version of the standard S5 with a Quad HD display and Snapdragon 805 processor. As it turns out, alongside the S5 LTE-A, South Korean carrier KT will be releasing an exclusive, special edition of the model, with an altogether different rear shell. As you can see, the shell is swapping out the controversial, dotted look of the S5 for one that features a diamond-shaped texture. At the risk of sounding shallow and cliché, we've gotta say we're digging this alternative look more. 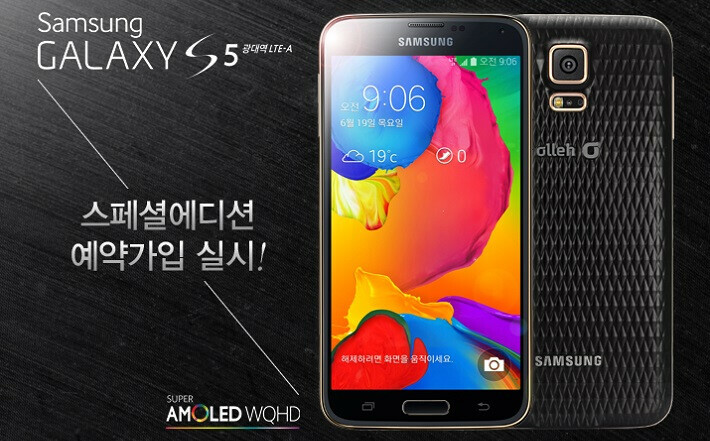 Unfortunately, if we were you, we wouldn't expect to get our hands on one such version of the S5, especially if you live outside of South Korea, which will be the only country to enjoy the high-powered Galaxy S5 LTE-A. In related news, perhaps there isn't a whole lot to be sorry about -- in our experience, a Quad HD resolution on a 5.1-inch display is a complete overkill, not to mention that the SD805 chip on-board mostly fails to deliver any major performance gains, which is likely the result of that very same, extraordinarily pixel-dense, screen. We expect that battery life has also suffered a blow. Oh well, gotta keep that perception of superiority or, at the very least, parity, for sales to keep rolling we suppose. Looks like what I use to grate my cheese. How does that make him a "hater"? Did you read his comment? You blindly used that word and its ridiculous. There was no fanboyism. 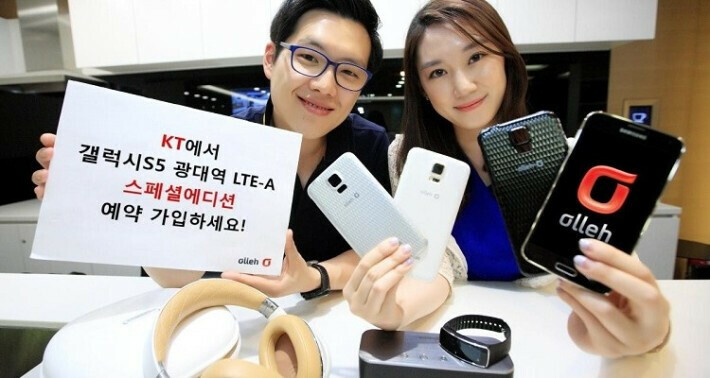 It is a fact that Samsung has recieved excessive hate. Agreed. He isn't necessarily one! The statement just reminded me of how much I've seen similar comments made (lot of them with an intent to hate). No insult to the OP! I guess I just used his statement as an example! My apologies to the Duke! Sorry! I was trying to make a point. just threw your statement as an example! Meant no disrespect! The author should get has facts correct before posting anything. "the SD805 chip on-board mostly fails to deliver any major performance gains" When comparing the SD 805 to the 800 and 801. The 805 is using a new adreno 420 GPU. The 800 and 801 use the adreno 330 GPU.http://en.wikipedia.org/wiki/Snapdragon_(system_on_chip) Not to mention the 805 can support memory bandwidth speeds of up to 25.6gb vs the 800/801 up to 14.9gb. And the internal krait cores are different. seriously PA you like this??? Are you also being different, for the sake of being different?? Hideous design..
"...why bother showing us this phone if its only in south korea." Why you don't say the same when PhoneArena shows something what is only for U.S. ? The dotted back was already bad enough for me,and yet they make it look worse this time. In my opinion it doesn't look good. The design is ok for me except 5.1 inch screen is too small for me. 5.7 inch is the minimum screen size moving forward. This pattern looks good on the flat portion of the back cover, but it looks really strange near the camera bump and the edges. If you work in a Sammy factory, job security shouldn't be an issue......for now lol.